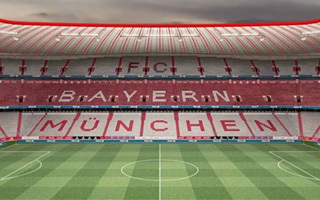 As FC Bayern announced yesterday, Allianz Arena will become red-white inside. 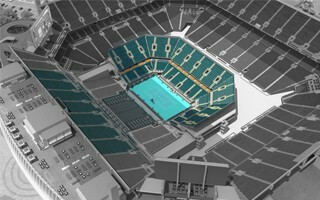 However, it will actually be grey-red as only a third of all grey seats will be removed prior to 2018/19. 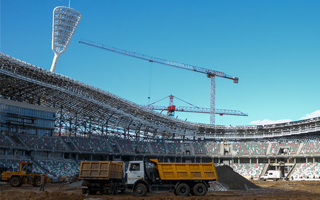 Just two months before (re)scheduled delivery all major works are delivered at Stadion Dinama in Minsk. 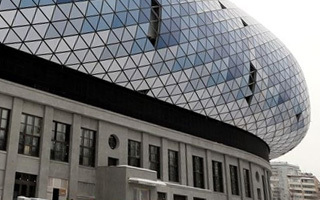 The host of 2019 European Games was visited by the EOC and authorities are pleased with progress. It may have come 3 months later than expected, but it did come eventually. 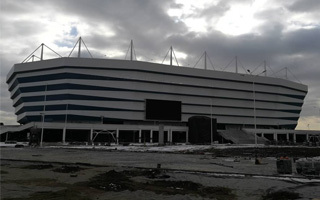 Stadion Nizhny Novgorod received the green light and opening game is just 2 months away. 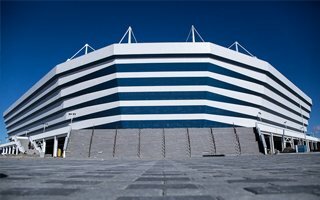 When you hear public official saying “it was a mistake to build this stadium”, you know the problem is serious. 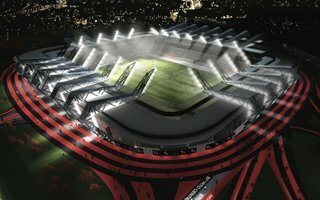 And so, for the next 35 years, football will be at best secondary for the Brazilian national stadium. 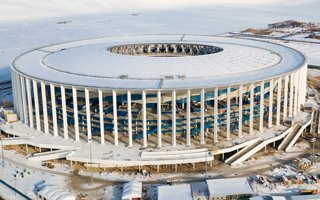 Today the single last inspection by FIFA representatives took place before opening of the new Kaliningrad stadium in two weeks. It's almost fully prepared and should safely hold the planned 3 test games. 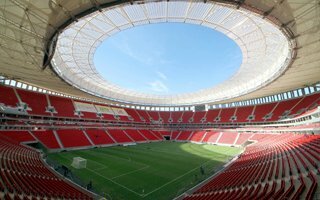 26.03.2018 Brazil: The most efficient stadium nationwide? 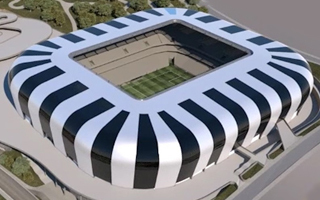 The cheapest in terms of price-per-seat, optimised to generate maximum revenue, Arena MRV in Belo Horizonte might be a game-changer for Atletico Mineiro, who have just finished 110 years! 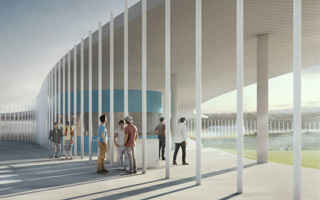 Fulham FC have announced their new Riverside Stand development plan received the green light from London Borough of Hammersmith and Fulham earlier this week. 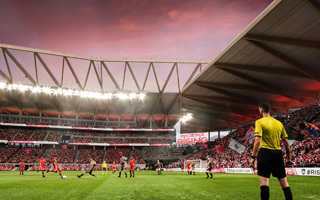 In an effort to strenghten their Euro 2024 position, the city of Cologne will expand RheinEnergie Stadion. Ironically, 1. 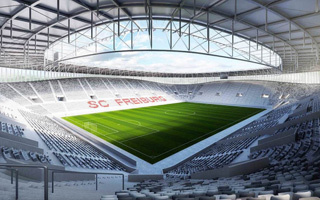 FC Köln won't be able to make much use of nearly 4,000 additional seats. After official grounbreaking earlier this week, the NFL stadium in Miami begins conversion to become home of Miami Open from 2019 onwards. The tennis tournament will grow commercially and in terms of attendance. 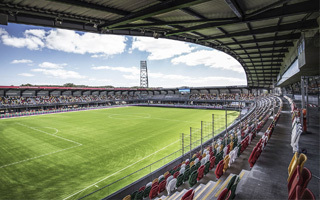 Architects from around Europe and beyond have one more week to apply for participation in Opole municipal stadium design competition. 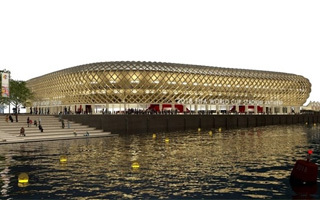 The UEFA Category 4 venue should see groundbreaking in 2019. Despite high-ranking officials in attendance, it wasn't them who grabbed the shovels yesterday. The honour was given to a family of Brentford FC supporters, who have been with the Bees for 4 generations! 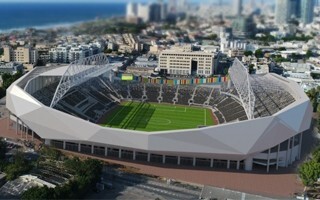 Completely reconstructed, the legendary Tel Aviv stadium will welcome spectators in over a year from now. 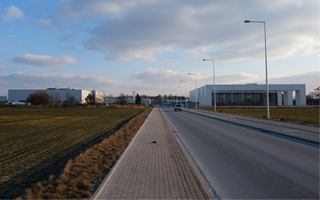 While a significant delay, it still represents a reasonable time frame for a project of such magnitude. 19.03.2018 London: Wimbledon to wait (a bit) more for new stadium? 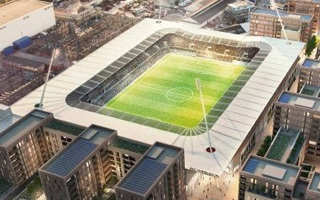 Despite all hurdles having been cleared, there's still no certainty over groundbreaking time for AFC Wimbledon's new stadium. It may be autumn, which means the opening before 2019/20 season is also not secured yet. You should see these three stadiums. 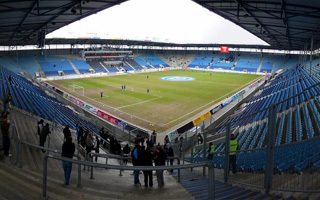 If not for any other reason, then to compare how different stadia are within the top flight of Denmark. Here are our fresh additions from Hobro, Silkeborg and Helsingør. It's a lovely town with family-friendly games, almost as you'd imagine the Danish football experience. 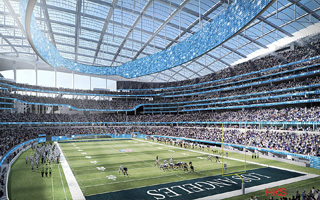 But the stadium is heavily dated, so a new one will be built. A little gem, it is! 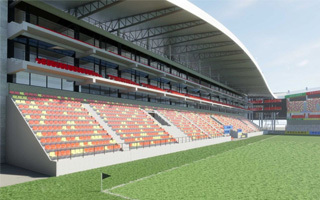 They may be relegated from the league already, but KV Mechelen aren't stopping down with their stadium redevelopment program. 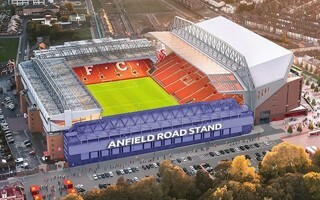 New main stand will begin to grow once the current one is demolished. 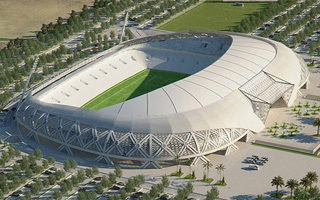 16.03.2018 Morocco: When will Tetouan stadium finally open? 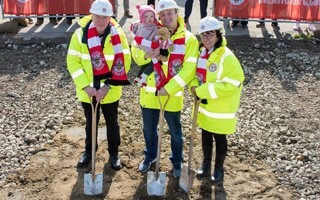 It was supposed to be delivered this year, but to this day foundation phase hasn't been completed. 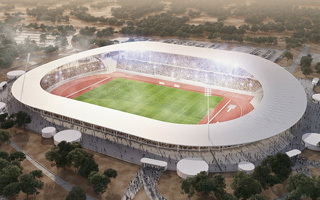 One of the northernmost stadiums of Morocco's 2026 World Cup bid is on hold. 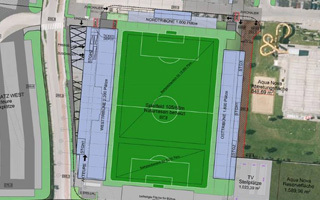 After prolonged negotiations and announcements of legal battle, Chelsea and the homeowners from across the railroad have finally reached an agreement, once again enabling construction of new Stamford Bridge. 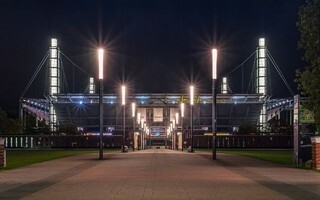 The Hammers and stadium owner LLDC will go to the High Court in November to resolve their London Stadium capacity dispute. 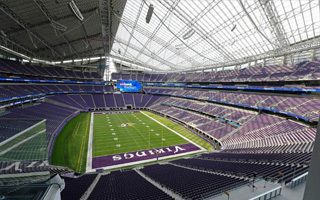 The disagreement concerns revenue from additional seating. 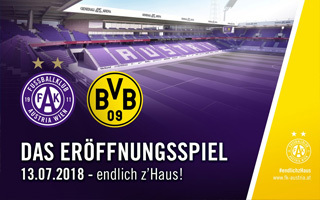 Three stands with 5,000 capacity, just enough to meet Bundesliga requirements. 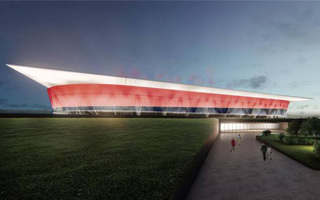 Early next year this will be the new stadium in Wiener Neustadt, approved by the city council last night. Not only unprecedented for Spurs, these are literally the most expensive season tickets in the world. One season for $2,765? 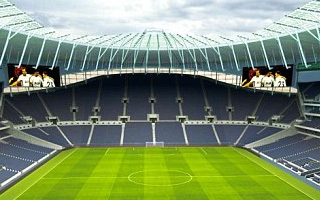 Possible only at Tottenham's new stadium. 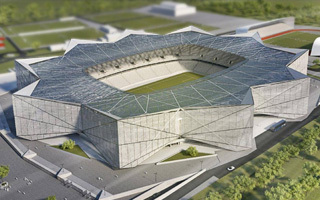 After complete reconstruction the new Stadionul Ghencea will hold 30,500 people. The contract, worth an expected 301.77 million lei (€65 million) will be executed in 25 months, just before Euro 2020. Slowly we're moving towards the end of this edition of Stadium of the Year. 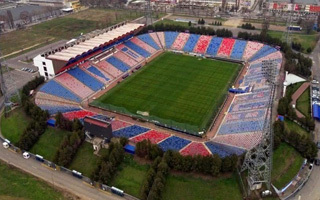 Victory of Cerro Porteńo's new stadium in this year's Public Vote took some people by surprise. Let's explain how it happened. 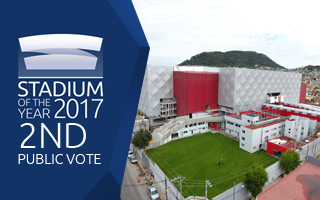 07.03.2018 Stadium of the Year 2017: Public Vote 2nd Place – La Bombonera de Toluca! Mexico already has one Stadium of the Year and it's clear that football fans in this country haven't had enough. 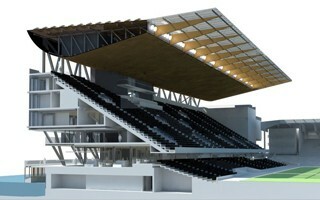 However, less than 30% of votes for this stadium came from Mexico! One of the biggest favourites and for great reasons, too. It lacked only one thing: actual support from its own community. 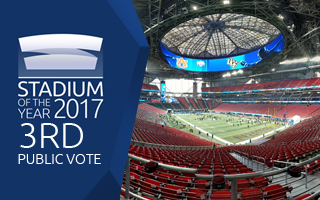 Pushed by votes from Paraguay, Mexico and Russia, Mercedes-Benz Stadium managed to grab the third spot in our second vote. 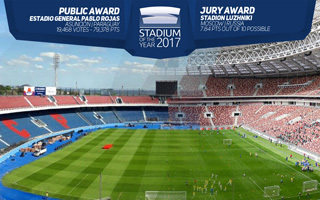 07.03.2018 Stadium of the Year 2017: Jury Award winner – Luzhniki! 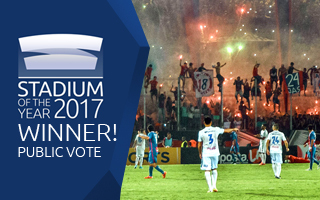 We knew this stadium would be high on the list, but did not see it coming until we saw the votes. 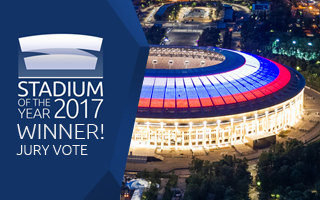 Unanimously appreciated by the Jury, here is the latest Stadium of the Year, Luzhniki! Being the runner-up is both a success and may leave some thirst. 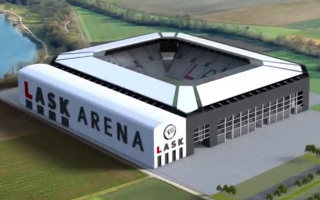 But U Arena reached a milestone in Stadium of the Year despite coming second. Find out why! The most expensive, immensely impressive, but not the best. 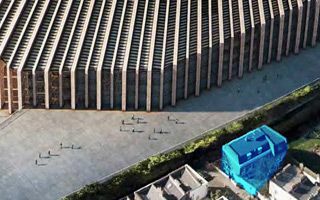 Or so claims our Jury, comprising five renowned architects. 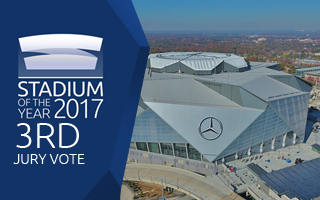 The new stadium in Atlanta has to be noticed, though, which is exactly what its place on the podium does! 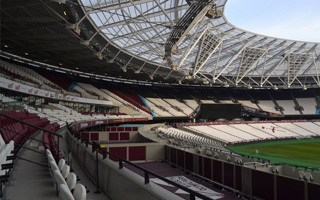 First full season at the new location brought significant increase in revenue for West Ham, despite poor performance on the field. 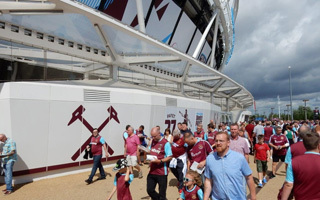 The Hammers have revealed today how much they earned over the last fiscal year. Though citizens voted in favour in a referendum 10 years ago (! 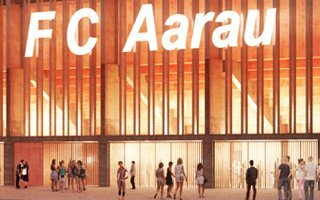 ), the new stadium in Aarau is still not coming. 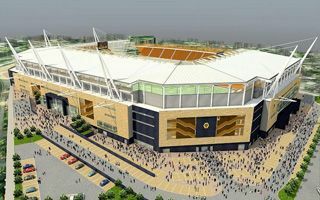 Just enough work will be done this year to retain the planning permission, while actual groundbreaking is expected in 3 years. 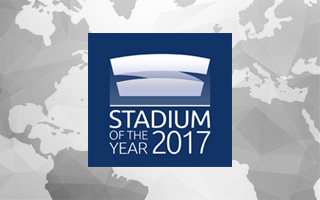 05.03.2018 Stadium of the Year 2017: Winners to be announced on Wednesday! It's been as exciting as ever for us to monitor, thank you for getting involved. 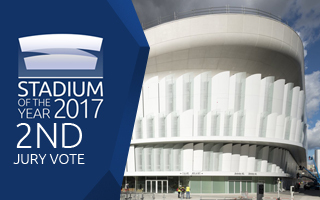 We are now preparing to publish the results and announce the two Stadiums of the Year, as selected by the Public and by the Jury. Despite playing in the 4th division they're relentless! 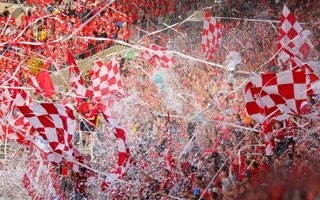 They continue to buy more season tickets than any other team in Poland and any other on the 4th level in Europe. Now almost at 16,000! Second-league Baltika against Schalke 04? That would have been great, but won't be. At least for now. 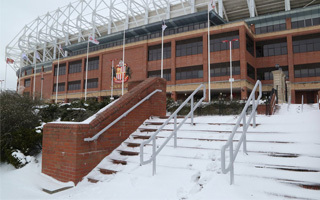 The game was cancelled due to harsh weather conditions and fear of how it could have affected the field. They're all far more impressive than the ruins of Stadio Sant'Elia, that's for sure? But which one will be selected as the best way forward? Take a look, just like Cagliari Calcio fans are doing right now!